What about traveling over water? 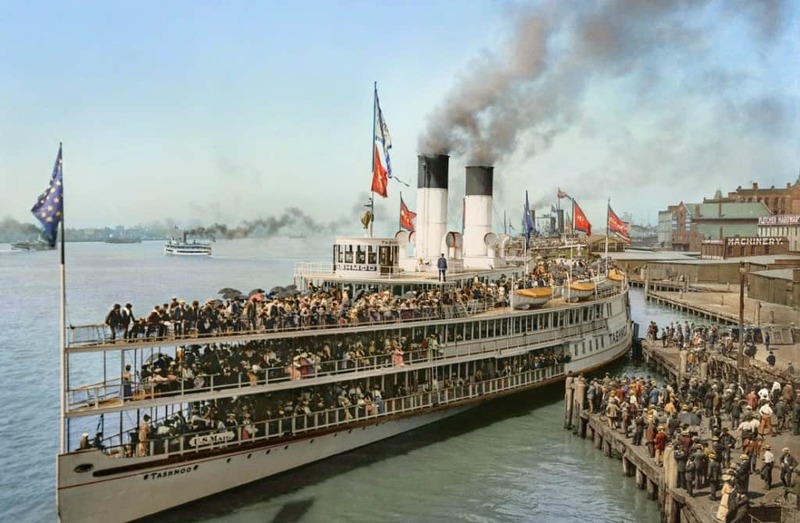 Steamboats like The Tashmoo (pictured) could cut through a lake or traverse a river in no time, all the while offering passengers all the luxuries of a pleasure cruise. This boat is a tad smaller, but you need a small, quiet vessel when practicing the fine art of spearfishing. 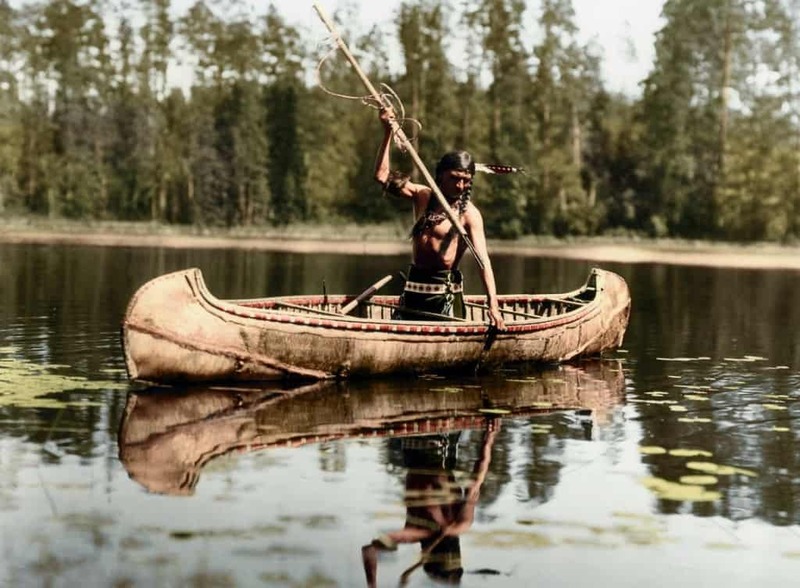 The man pictured belonged to the Ojibwe, or Chippewa people, who inhabited territory along the Great Lakes of Michigan. Another Native American, this time of the Klamath people. 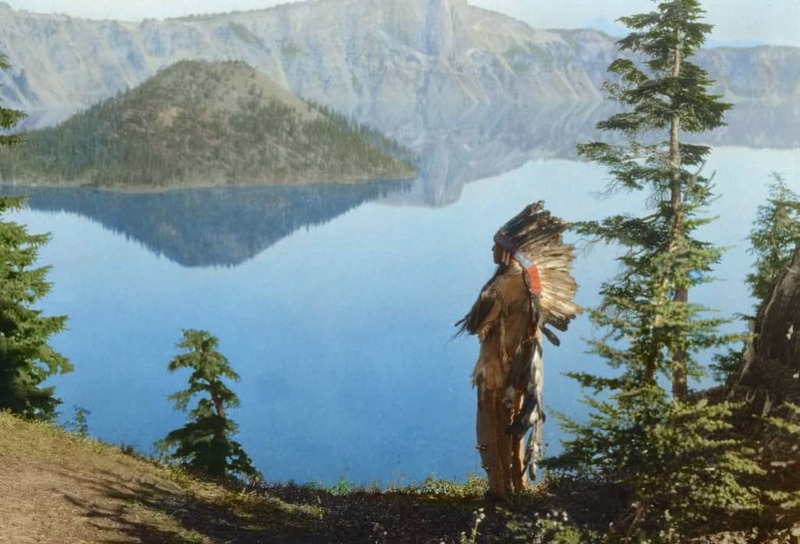 He is pictured here praying to the spirits of Crater Lake in Oregon. 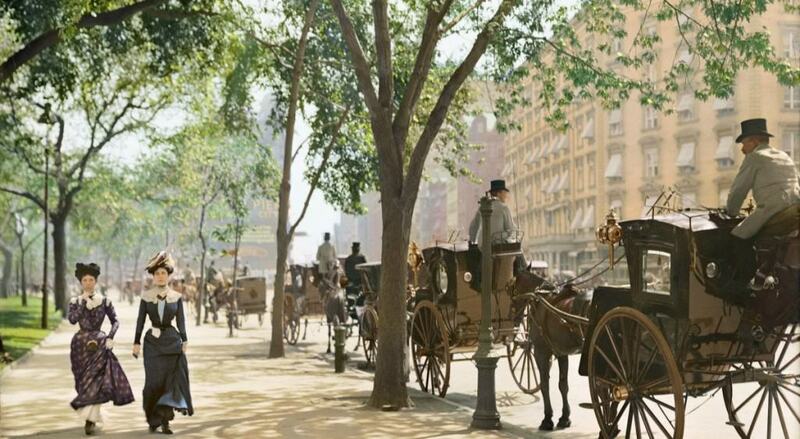 The oldest image in this list, it was taken near the end of the American Civil War. 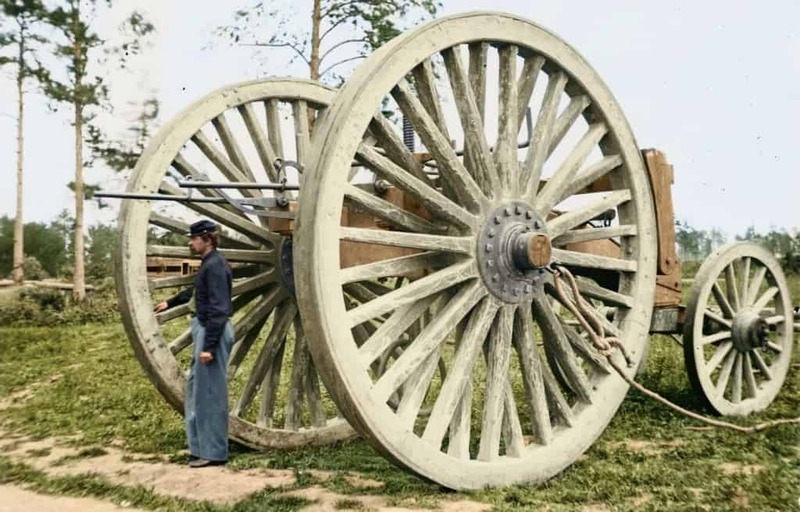 It depicts a Union soldier standing next to a huge sling cart, which was used to remove captured artillery. 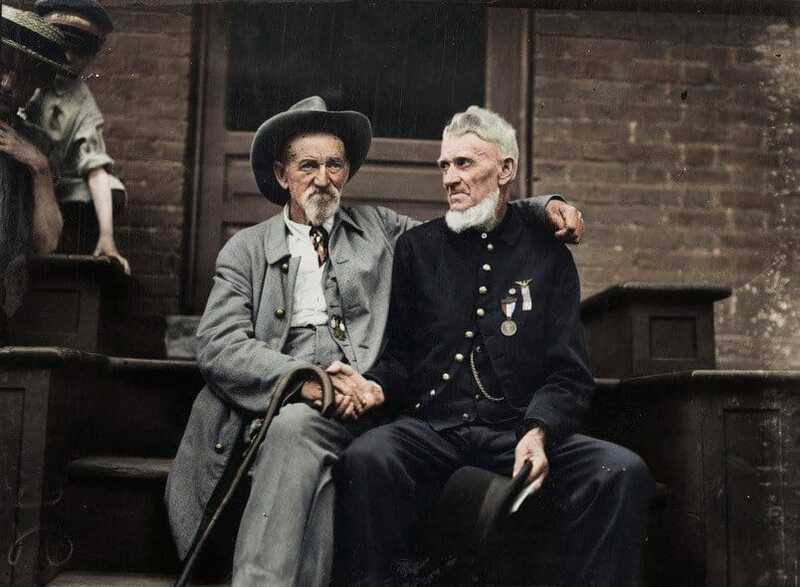 Forty eight years after the end of the civil war, two opposing veterans forgive each other at a formal ceremony. No, that isn’t Robin Williams. 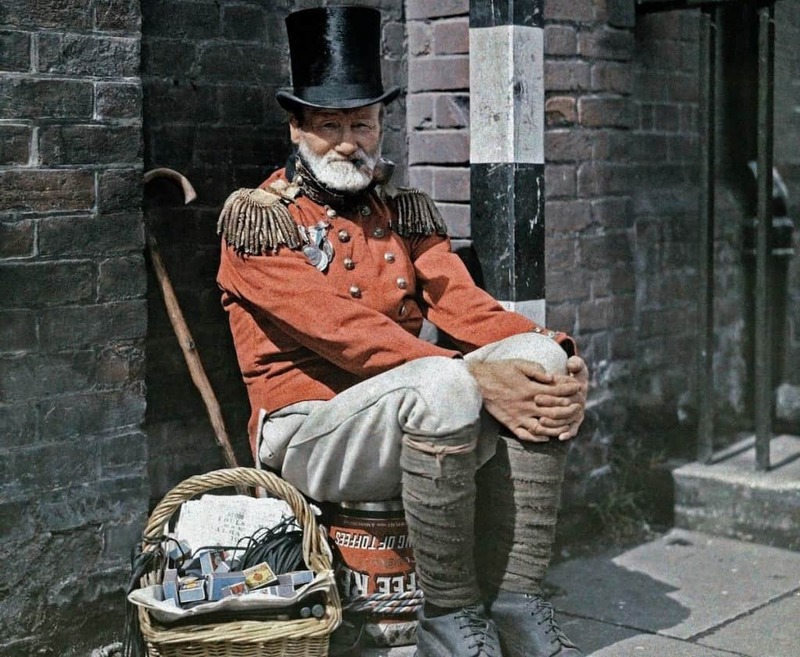 It’s actually a British veteran selling matches on the streets of Canterbury, circa 1930. Here are some military men in their prime. 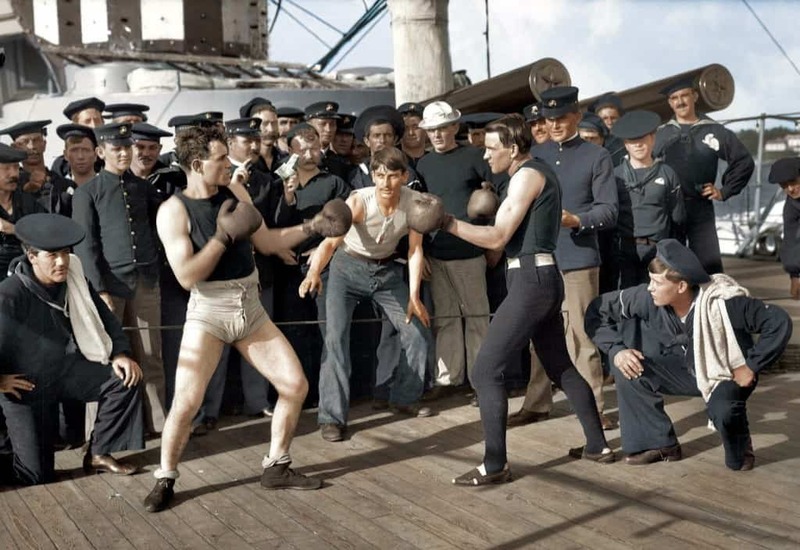 Life as a U.S. Navy sailor could get tedious, so what better way to relieve some tension than beating someone’s face in until you both feel better? This photo just exudes Americana. 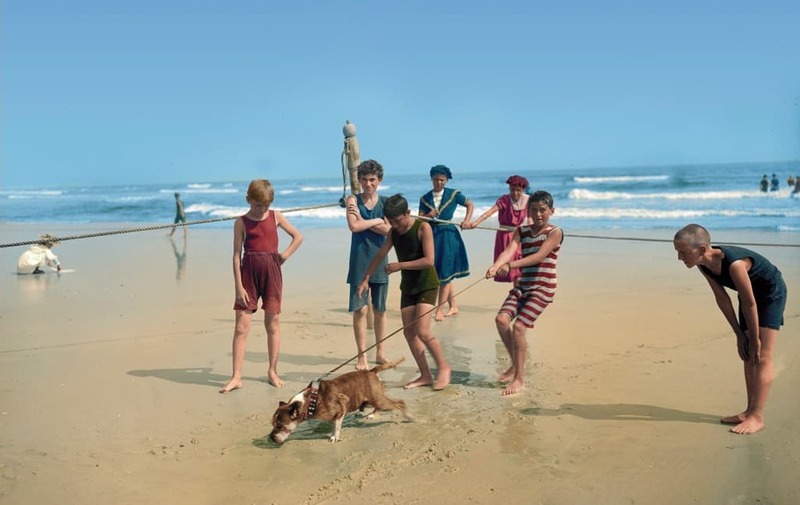 A group of boys wrangle their bulldog while enjoying the Coney Island beach, one of America’s most popular summer destinations at the turn of the century. Coney Island was one way to beat the heat, this was another. Hey, you try wearing formal clothing all day with no air conditioning. Where did all that ice come from, anyway? 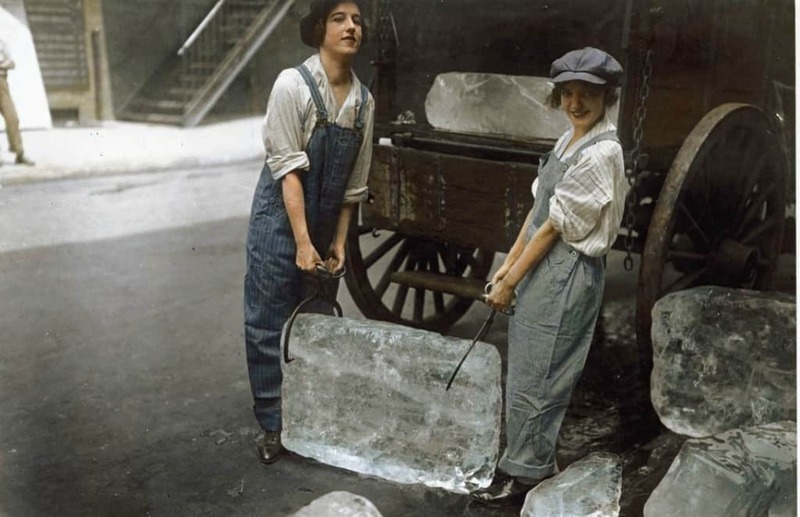 Before consumer grade refrigerators, ice actually had to be harvested or frozen in one location and shipped to a business or home. 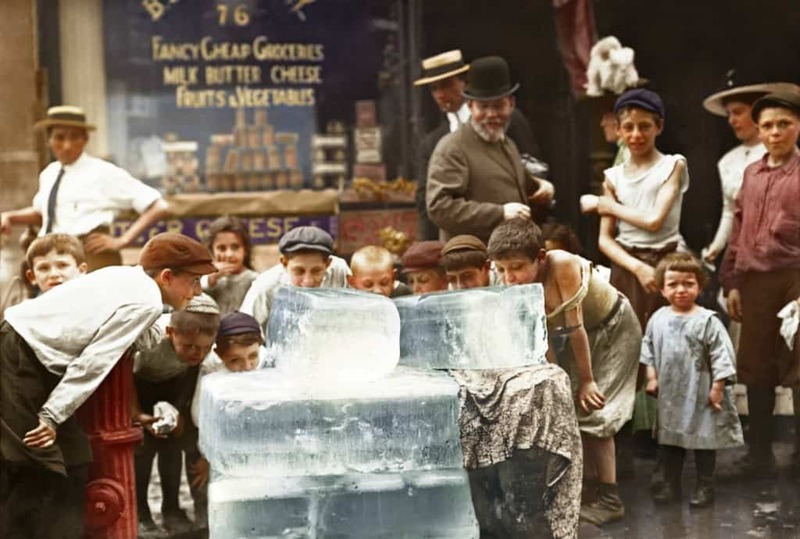 Ice deliveries were a daily service, just like getting the paper. Hungry? Maybe a fresh clam will hit the spot. Or, if you’re a fan of Chinese food, you might try a new dish called Chop Suey. 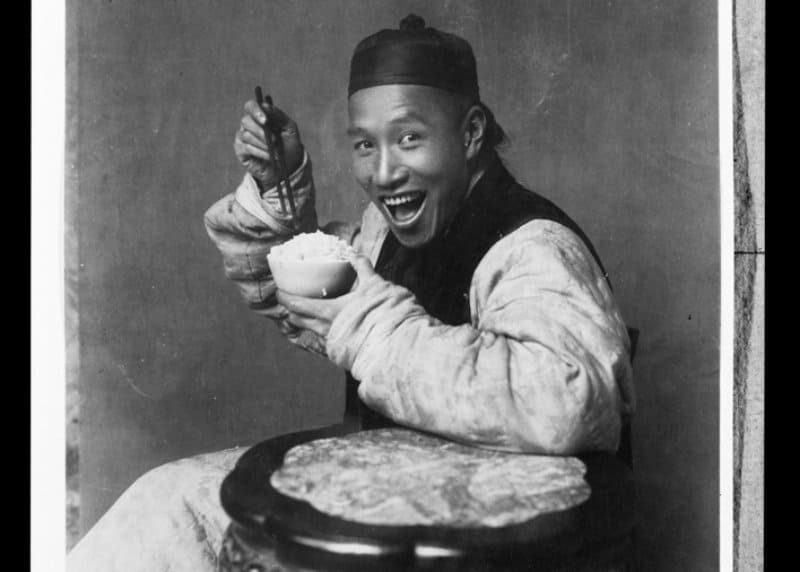 It was all the rage in Chinese restaurants at the turn of the century, though it isn’t a traditional food in China. 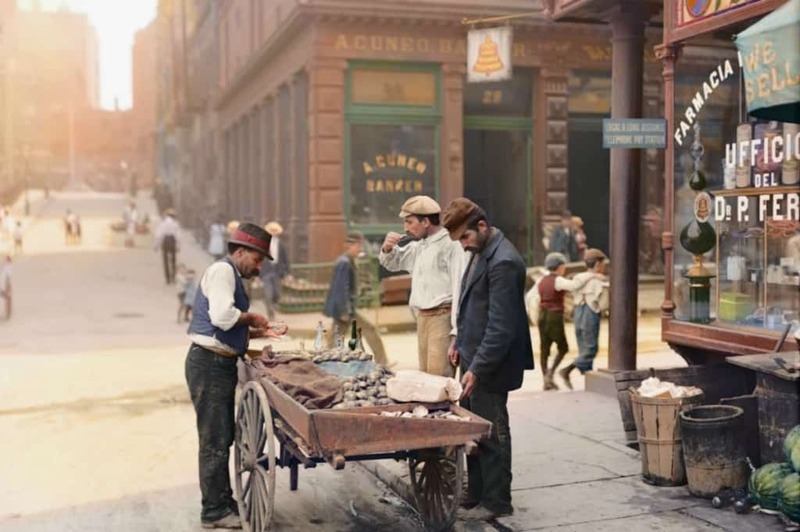 Even a hundred years ago, Americans preferred the deliciously inauthentic version of Chinese food they eat today. If you lived in a town like Eureka, your food options would be a bit more limited. 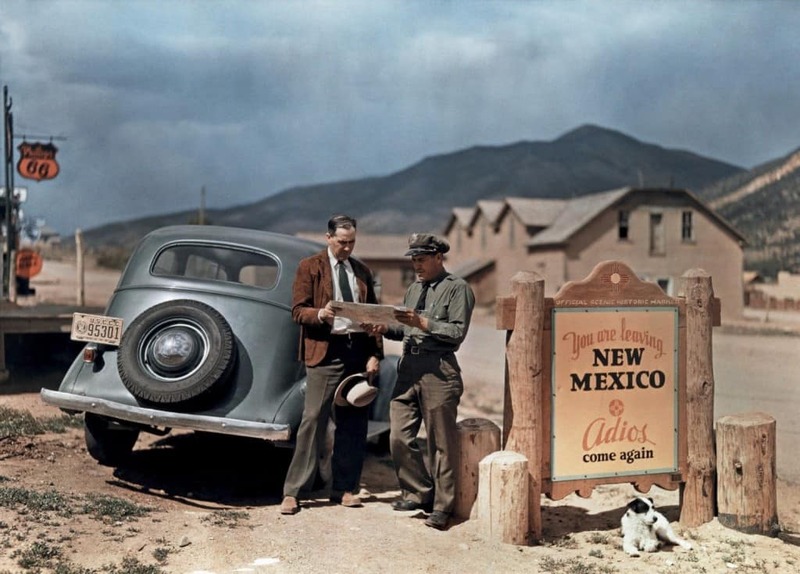 Settlers in these towns had to rely on whatever livestock and crops could survive in the area. If you wanted a change of pace, you’d likely face a multi-hour horse ride just to get to the next town over. 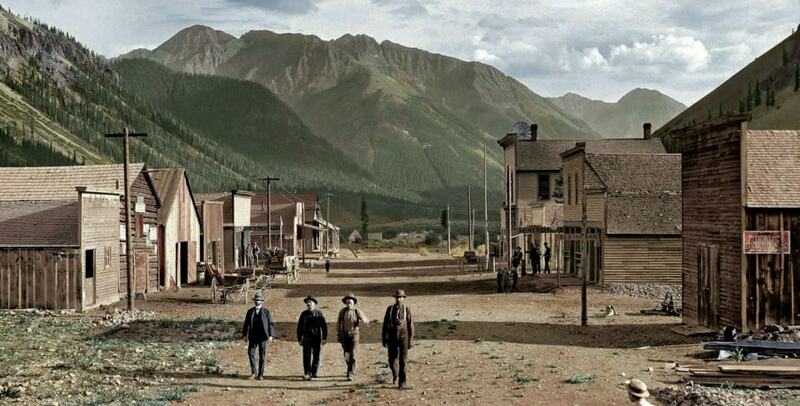 Everything changed when railroads connected the country, but people still lived in isolated frontier towns for decades afterward. 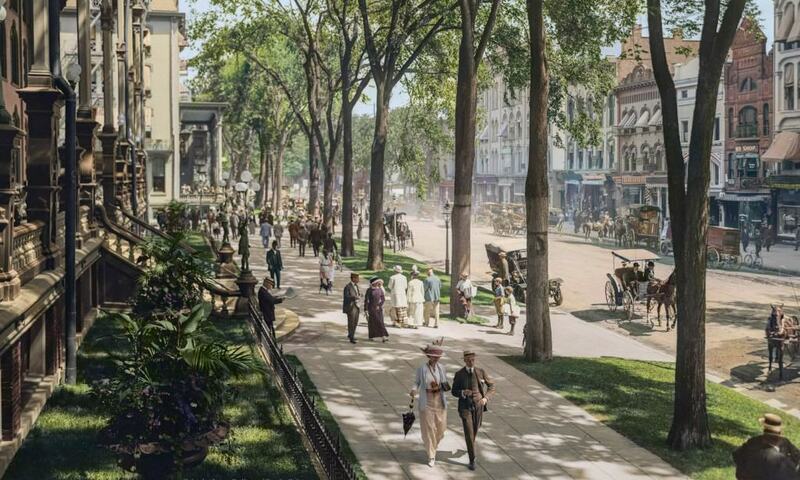 This picture of the affluent Saratoga Springs was taken in 1916, when the city was a well-known destination for gambling and leisure. Photos like these are a sobering reminder that there’s no time like the present. 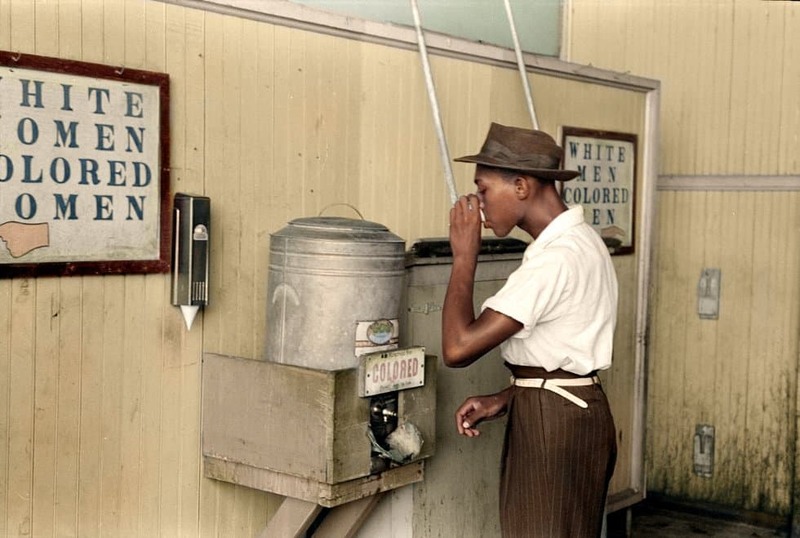 Daily life under segregation consisted of navigating separate bathrooms, water fountains, seating, and even movie theaters for whites and non-whites. Many business owners wouldn’t allow African-Americans inside their businesses at all. Sure, this one is in black and white. But can you blame us? 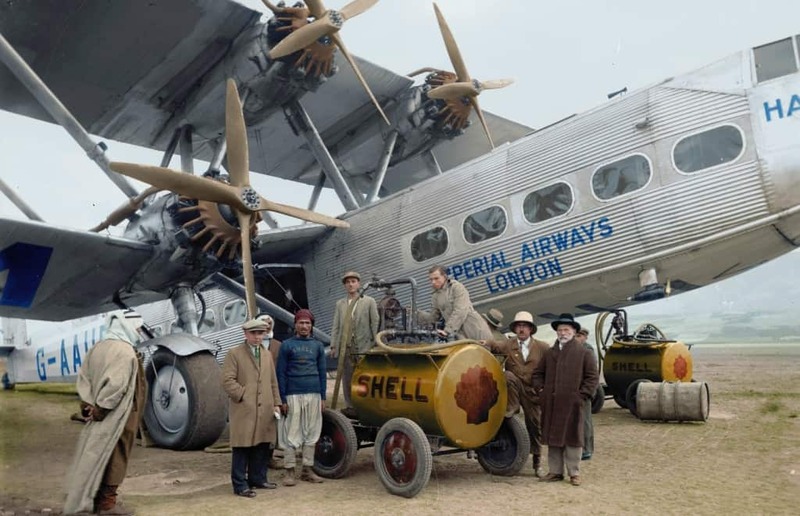 This wonderfully modern looking photo predates the “selfie with food” by at least a hundred years. This photographer may have inadvertently captured the beginning of the end. 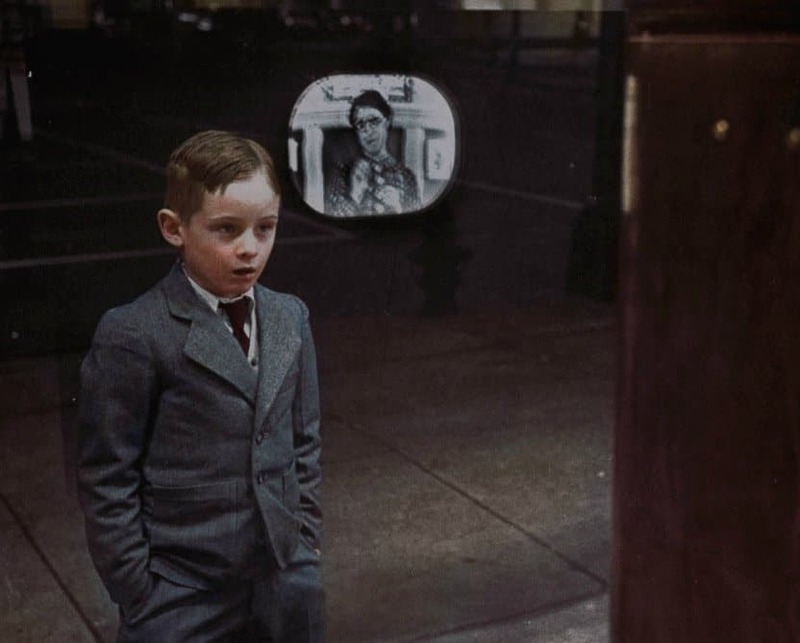 An unidentified child watches television for the very first time, gazing transfixed into a glowing department store window. 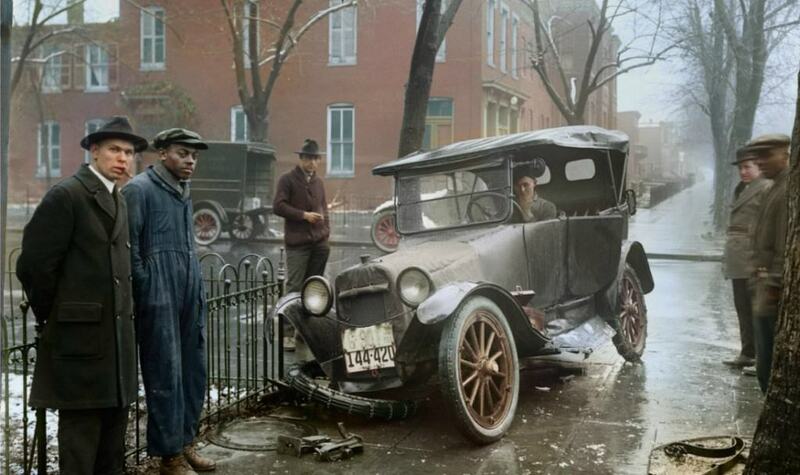 Colorized by Manuel De Leonardo.